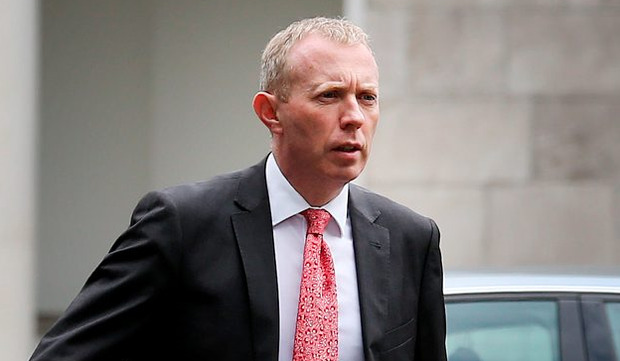 The Government looks set to miss its latest deadline for a decision on the National Broadband Plan, said Timmy Dooley, Fianna Fail's communications spokesperson. The Taoiseach told the Dail in February a decision would be made by Easter on the one remaining bidder in the process, but honouring that promise "looks increasingly unlikely", said Deputy Dooley. "It has been dragged out beyond all expectations. The Taoiseach was to consult with the Dail but the Cabinet doesn't appear to have made a decision. Even if they do, it won't be brought to the Dail by Easter," he said. "The likelihood now is it won't be discussed in the Dail until much later. The expectation was that it would be all completed and a contract would be signed around Easter. Yet again it would appear the Government are attempting to use the promise of a national broadband plan as an election promise for the local and European elections," he said. Promised since May 2011, the scheme had first envisaged high-speed internet access by 2015. Deputy Dooley said the Government should have paused the tender process and re-examined the plan a year-and-a-half ago when all the other bidders pulled out. "But the Government kept going with the same process after finding themselves with just one bidder with what appears to be a cost escalation from half-a-billion euro to what is believed to be close to €3bn. We believe the remaining bidder does not have experience in the project management that would be required to roll out an infrastructural project of this size. "Even if the Government goes ahead with this contractor, it's questionable as to whether or not broadband will be delivered to the 542,000 homeowners in any kind of a timely fashion," he said. He said the Government should have "gone with a direct award to the ESB" because the State company had a proven track record in delivering big infrastructural projects on time. "When the ESB pulled out and Eir pulled out, it was time to say the PPP model envisaged did not work when we were left with just one bidder," he said. The National Broadband Plan was first announced in 2012 to bring high-speed fibre broadband to smaller towns and one-off homes which would have been unlikely to get the service from commercial providers. The bidding was dealt a severe blow when Eir and rival broadband infrastructure giant Siro, a joint venture between the ESB and Vodafone, withdrew from the process. Boston-based Granahan McCourt remains the only company seeking the contract and it is seen as an investment firm which would use a group of sub-contractors. SSE was part of its consortium, but they pulled out of the group last summer. It was expected the contract would finally be awarded last year, and the network built within five years of the contract being signed. The Taoiseach said in February that "due diligence" was still underway regarding the one remaining bidder. He accepted the cost would be "many multiples" of the original estimate. An international review panel was assessing the cost-benefit analysis regarding value for money and issues of "deliverability."